Discover grape escape destinations and wines from not only hosts Hungary but also from around the world in the IWINETC exhibition area. Please keep checking back for updates as new exhibitors are added. Wine Route Rioja Alavesa is an association created with the main target of managing and promoting the tourism in the region. It represents over 140 partners that offer their services in fields such as: wineries, facilities for tourism activities, accommodations, restaurants, transport services, DMC, leisure and guided tours. Rioja Alavesa offers you the chance to delve into the culture of wine in one of the most attractive landscapes of the international wine-tourism areas,. It also counts with the sustainable tourism certification with the widest international recognition: Biosphere destination. Enjoy unique experiences in vineyards and visit its famous wineries on a journey from tradition to modernity; taste its excellent, prestigious wines and its fine cuisine. Discover medieval villages, wine festivals and events as well as cultural visits, vinotherapy and nature activities. 2Hungary is a Hungarian Experience Agency which is the initiative of a young Hungarian couple whose travel experiences met their widespread contacts in Hungary. Our goal is to put our new ideas into practice and show you the real values and beauties of Hungary and our culture. With our wine tour packages we would like to show you what we think is the essence of each distinct Hungarian wine region. However, as 2Hungary is all about a bespoke experience, we give you ample opportunity to customize your trip and explore further by adding extras. Trust us if you visit the places we take you to, you will want to stay the night, or even a few more days so you can spice up your tour with our accommodation offers. Our botanic garden is not simply an arboretum of many. It is not only a unique collection of cedars and cypresses, but a family history of several generations, a result of dedicated work and perseverance. Be a part of the history of our family! Feel the tranquility of centuries-old cedars, an enchanting view over the lake Balaton and taste our wines, which are expertise and spare no effort were made to you. We, the fourth generation, strive to live up to their example. The vineyard, an organic part of the arboretum, was established in 1878 by our great-great-grandfather, who built the cellar that is still in use today. We deal primarily in white wine: the Folly wines are based on Pinot Gris, Muscat Ottonel, Budai Zöld and Welschriesling. Castello di Roncade is a pre-Palladian villa built in 1508 in the Venetian mainland, a few minutes from Treviso city center, and has been producing wine ever since. Located in the core of the Prosecco area and less than one hour from main tourist destination such as Venice, Verona, Padua, the Dolomites, the Castle welcomes its guests every day for guided tours, wine tastings, or overnight in classic apartments and suites. The Tokaj Hétszőlő estate, known for its unique wines and rich history, is situated in the heart of Tokaj-Hegyalja, on the southern slopes of Mount Tokaj. The Hétszőlő and Nagyszőlő vineyards have been classified as premier growing areas since 1772. Sitting on volcanic rock blanketed with a thick layer of loess, the vineyards cover 55 hectares of the south-facing hillside. We use organic methods to preserve our soil and care for our vineyards. The majority of vines are the Furmint variety (73%), with lesser amounts of Hárslevelű (18%), Kövérszőlő (5%) and Muscat (2%). Also the historical Rákóczi Cellar belongs to Hétszőlő Winery. The Rákóczi Cellar has been at the heart of Tokaj for at least one thousand years, where the most important matters were addressed and the most precious things were stored. In Tokaj-Hegyalja, nothing is more important than wine and wine trade. Villa Cordevigo Wine Relais in a classic Venetian villa in the hills above Lake Garda, just half an hour from Verona. It is surrounded by the 250-acre family estate of vineyards and olive groves. The hotel has 33 rooms: Classic, Tradition, Elegance, Junior Suites and Suites. No two rooms in the villa are alike and each combines fine furnishings, beautiful décor and careful attention to detail. the Barchessa wing of the villa hosts the renowned Michelin starred restaurant where Giuseppe D’Aquino charms diners with a personal blend of Neopolitan and veneto cuisines. The “Essentia” Spa cares for guests wellbeing and relaxation with special holistic treatments promoting a new level of balance between body and mind. Special cooking courses can be organised on request, followed by interesting tours of the family winery and cellars 5 km away at Vigneti Villabella, and trips to the opera at Verona in the summer months. Vigneti Villabella is the estate and winery within the Cristoforetti-Delibori group, based in Calmasino, in the heart of the Bardolino Classico zone, on morainic hillsides overlooking Lake Garda. Founded over 40 years ago by Walter Delibori and Giorgio Cristoforetti, Vigneti Villabella expresses the full potential of the area, creating unique, authentically typical wines, red, white and rosé some of which are organic, and operates in an ethically responsible manner, maintaining a balance between man, the landscape and nature. Disznókő has crafted its own style of Tokaji wines, the legendary sweet white wines of Hungary. Since 1992 the estate has been under the guidance of AXA Millésimes, owner of several prestigious châteaux in the Bordeaux region (Château Pichon- Longueville, Château Suduiraut and Château Petit-Village), Domaine de l’Arlot in Burgundy and Quinta do Noval in Portugal. Classified “First Growth” in 1732, the estate is located at the southern-western entrance to the Tokaj Wine Region. It belonged to influential families like the Rákóczis, the Waldbotts and Melchior de Lónyai. Lónyai commissioned the building of the Sárga Borház, the “Yellow House of Wine”, to house the estate’s press in the 19th century. The vineyard – established 25 years ago – holds 85 ha of the wine district on the southern shore of Lake Balaton, providing excellent opportunity to producing fresh, elegant and stylish white wines coupling with complex, well-balanced red wines. The sparkling wine cellar with more than 100 years of history and caved in limestone are ideal for mastering “methode traditionnelle” sparkling wines. The Nomad Hotel and Glamping is situated in pictures little village at the hearth of the Eger Wine Region. Surrounded by forests of the Bükk NP and wine yards, the hotel has 21 boutique rooms, the glamping offers unique accommodation possibilities. For gourmet travellers the Nomad’s restaurant is a good choice to enjoy the best wines of Eger accompanied by traditional Hungarian dishes made of carefully selected local ingredients. Vylyan Vineyards and Winery is located in the sunny southwest corner of Hungary. The winery can be found on Black Hill in Kisharsány, in the heart of Dobogó vineyard. The choice of the name Vylyan was inspired by a 15th century manuscript, in which VYLYAN was the name used for “Villány”. The basis of our philosophy lies in the work done in the vineyards, which is naturally reflected in our wines. Remarkable wines may only be born of top-quality grapes. Sustainable development is becoming a more and more important aspect; we prefer natural, environmental friendly solutions both in our vineyards and in winery. In addition to the special qualities of the soil, it is the hard, enthusiastic work of an open-minded, professional team that has bore its fruits. Today Vylyan is one of the prominent vineyards of the Villány wine region. In 2008 Vylyan won the title “WINERY OF THE YEAR IN HUNGARY”. Discover Mád! 8 years ago we dared to dream big. We thought that Tokaj Wine Region was ready for changes like it had been several times in the past. We believe that it is essential for this small but unique wine region to be included on the world map of wine regions. Our wines are already present in 35 countries of the world. With the direction of István Szepsy Jr. 18th generation winemaker, we produce wines to introduce the unique characteristics of the historic top ranked vineyards. For our visitors’ gastronomic experience Chef Gábor Horváth of Gusteau Restaurant and his team are working from day to day on bringing a perfect balance between local ingredients and the historic wines of Tokaj Wine Region to your plate. At our bistro style restaurant Első Mádi Borház you may also taste local cuisine. For those who are eager to explore the mysterious story of Mád, our Hotel Botrytis offers high level relaxing opportunities. GoArmenia is one of the leading companies in the Armenian travel market. As a part of Visa Concord Group, GoArmenia is mostly engaged in the promotion and development of Armenia as one of the most attractive tourist destinations. We are specializing in providing all types of travel services to our customers a varied and comprehensive range of products such as wine, gastronomic, religious, extreme, ECO and other tours. “ARENI” FEST” Foundation together with Areni village Administration is organizing “Areni Wine Festival” which is an excellent chance to discover Armenia. Each year in Areni village takes place already a traditional “Areni Wine” Festival, where besides the inhabitants of the region there are also present representatives of various departments. It gives a great opportunity to discover Armenia. Those who even once have taken part in Areni Wine Festival in Armenia will never forget the bright impressions. During the Areni Wine Festival you will be able to taste the best range of Armenian wines, which are very highly valued by European consumers. The “Areni Wine Festival” opens with the bright, colorful and spectacular parade of the best wine-makers, combined with the song and dance combination. Vine and Wine Foundation of Armenia (VWFA) is a non-profit organization that aims to implement public policies and development programs in viticulture and wine making sectors. The objectives of the Foundation refer to the development of viticulture as a guarantee of a high quality wine, improvement of the quality of wine production, as well as increase in winemaking reputation and competitiveness of the country, development of Armenian wine culture, promotion of “Wines of Armenia” brand, wine exports and wine consumption culture in Armenia. 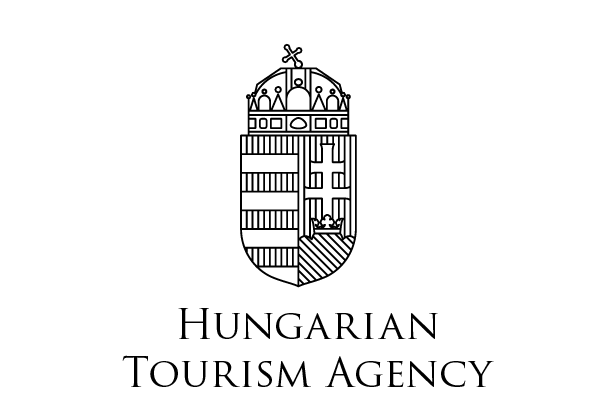 Quality Tours Hungary is an important incoming agency at the Hungarian tourism market, offering tailor made solutions to meet your business and travel needs since 1999. Our main activities are hosting leisure groups, incentives and special interest groups – including wine tours, which we consider as a major field of our activity, and we are happy to welcome year-by-year more and more wine lovers. The success of these wine thematic tours is based on three cornerstones: Hungary’s rich wine culture, our always-developing service partners and our team’s personal enthusiasm for Hungarian wines. What do we offer? Everything you need from visiting cellars, vineyards, and wine regions, to exploring old and new traditions, meeting the winemakers in person, having delicious wine dinners and for sure, tasting the excellent wines of Hungary. We offer bespoke wine touring and culinary experiences in Greece, one of the oldest vineyards of the world. We provide exclusive tailor made wine tours, tastings and events. We let you choose between a few hours wine tour in Athens or a more extended trip to other districts of Greece. We have discovered unique culinary and tasting experiences at well-hidden locations off the beaten track, to enjoy an evening while indulging your palate. We provide pick up & return luxury transfer from the desired point of choice. All our tours include an experienced sommelier / wine expert that will guide you throughout the tour, and introduce you to the Greek viticulture. We take good care of the wine pairing with local delicacies. Finally, we create unique self-drive tours. Our goal is to exceed your expectations through our love for the wine. “Our passion for wine is reflected in our work”. Winelovers offers wine lovers the chance to get to know wines in a quality environment. We organize thematic wine tastings each month, where we offer an opportunity for people who like wine to meet with a dominant domestic theme, grape variety or wine region. These events offer a high-quality pastime at the most frequented places in Budapest, where people can meet not only Hungarian wines, but also their makers. For those who are not satisfied with wine tastings only and would like to have deeper knowledge on the subject, we offer organized wine courses where it is possible to start learning from the basics with trained wine experts.